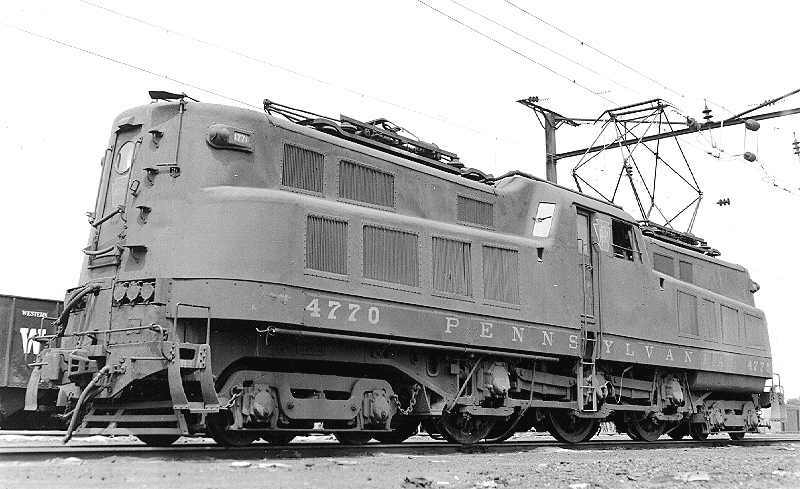 In its quest for a main line electric locomotive the PRR's Motive Department tried to duplicate its Class K-4 steam locomotive which was the PRR's standard passenger locomotive. It designed a 2-C-2 (4-6-4) box cab electric locomotive which used six 625 HP traction motors to give it a total of 3750 HP. 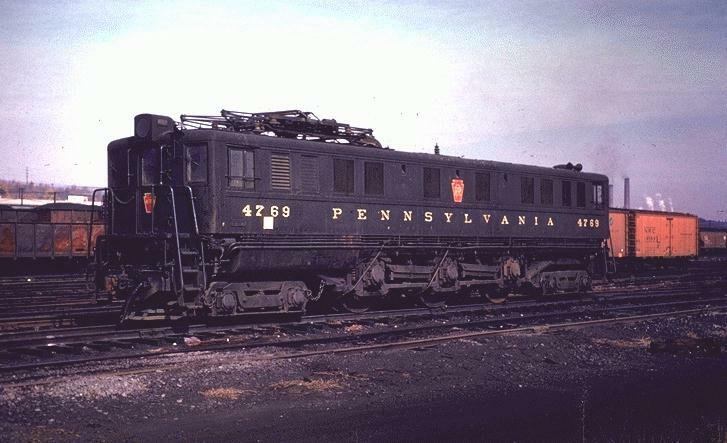 This locomotive was designated Class P-5 and two prototypes (road numbers 4700 and 4799) were built in the railroad's Altoona, PA shops in 1931. Based on the moderate success of these prototypes the PRR placed the design into production with orders for 90 of them to be built. The design of the P-5 specified weights of approximately 75,000 lbs on each driving axle and each of the two end trucks. It had three sets of twin 625 HP traction motors which were built by either General Electric (model number 625-A) or Westinghouse (model number 425-A). Each of the 625 HP traction motors drove one driving wheel through a single ended geared quill drive. All of the axles were equipped with roller bearings and the center set of drivers were flangeless. When the 90 locomotives went into production in 1932 the design was modified to include larger traction motor blowers and some other minor changes and they were designated as Class P-5a. 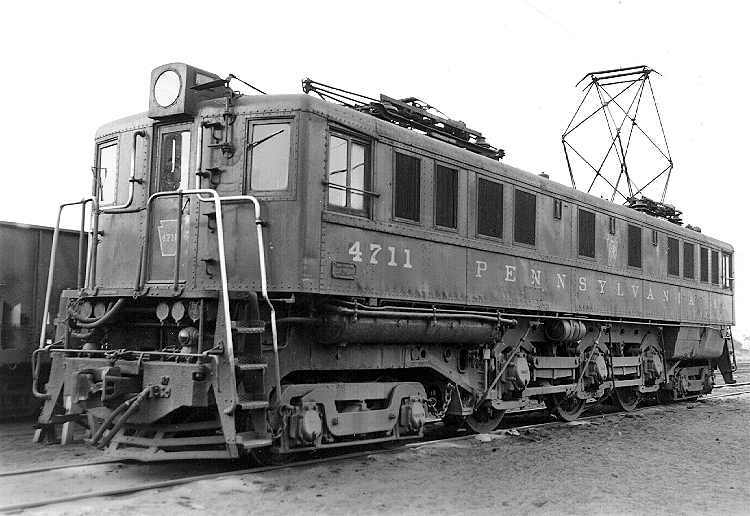 In 1932, 32 Class P-5a locomotives (road numbers 4701 through 4732) were built by Westinghouse and were constructed at the Baldwin Locomotive Works. Also in 1932, General Electric built 20 of the P-5a locomotives (road numbers 4755 through 4774). In 1933, Westinghouse built another ten (road numbers 4733 through 4742). Early in 1934, a P-5a box cab locomotive hit a truck at a road crossing killing the engineer. As a result of the accident the remaining 28, P-5a locomotives were redesigned to include a steeple cab. After a delay for the engineers to design a streamlined, center cab body production resumed in 1934. In 1934, one P-5a modified, which is what the center cab P-5a was designated, was built in the PRR's Altoona,PA shops and was assigned road number 4780. Another ten of the streamlined P-5a locomotives (road numbers 4781 through 4790) were built in Altoona in 1935. Westinghouse built 12 of the P-5a modified locomotives (road numbers 4743 through 4754) at the Baldwin Locomotive works in 1935 and General Electric built five of them (road numbers 4775 through 4779) also in 1935. In 1937, one of the box cab P-5a locomotives, number 4702 was equipped with motorized trucks each having 375 HP motors on each axle, which gave this locomotive a total of 5250 HP. The locomotive was designated as Class P-5b and it weighed 26 tons more than the P-5a version. The added motors did not significantly improve the hauling capability of the locomotive and as a result it was never duplicated. 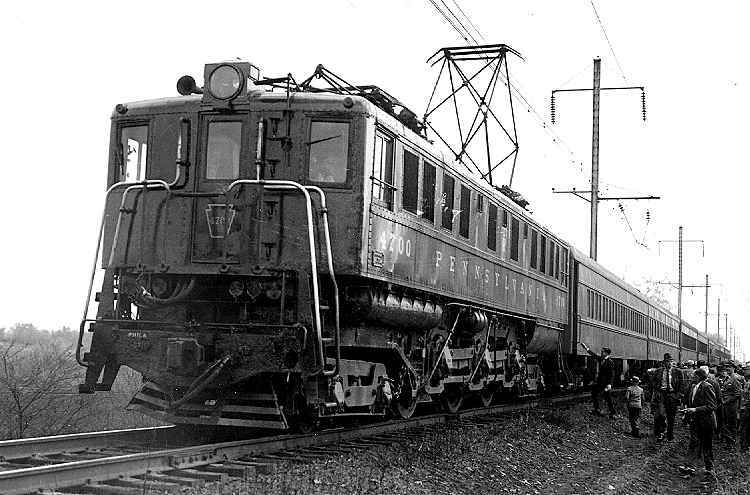 The P-5a locomotives went into passenger service between Philadelphia and New York and did an excellent job of hauling the hourly "clockers" which had an 8 to 10 car consist. However, for longer trains it had difficulty maintaining schedules and they had to be double headed. It was this lack of power that lead to the decision to develop the GG1. As the GG1s were delivered they took over passenger service and the P-5a fleet was assigned to freight. In freight service, whenever possible, a P-5a modified would be in the lead with box cabs trailing to provide a higher degree of crew safety. This was not always possible because these electric locomotives were not usually turned. In 1945, Class P-5a box cab number 4770 was severely damaged in a wreck and was rebuilt as a P-5a modified. The new streamlined body was welded instead of rivetted and it became the only smooth sided P-5a modified. Number 4791 was retired in 1950. The rest of the fleet was retired between 1960 and 1965. There is one survivor, number 4700, at the National Museum of Transportation in St. Louis, Mo. Tractive Effort: 31:91 - 22,350 lbs @ 63 mph, 55,000 lbs Max. 25:97 - 28,700 lbs @ 49 mph, 57,250 lbs Max.